Water is one of the healthiest drinks you can have. It keeps the body hydrated, lubricates and cautions the joints, removes body toxins, and delivers many more benefits. It also plays an importation role in determining the quality of sleep that you get. However, drinking water comes in different hyped forms such as bottled water, tap water, distilled water, and alkaline water, which makes it quite confusing for consumers. Nevertheless, it has been established that filtered water is the healthiest of all. 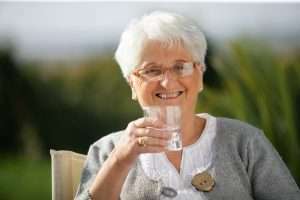 Below is a discussion of the various health benefits of having clean filtered water, why it pays to have a water filtration system at home, and why it is important to have your water regularly tested. Taking a glass of clean water before going to sleep can also go a long way in enhancing the quality of sleep that you get. This is because water reduces the risk of dehydration, and this helps to reduce fatigue. Water also helps to regulate body temperature and enhance your energy levels. All these benefits will work together to give you a good night sleep and help you to rest and wake up with the necessary energy to face the day. Although most municipal tap water is clean and safe for drinking, the truth is that water delivery system of every home is different. Some homes have older pipes that could be leaking radon and heavy metals such as lead into the water. This can pose a serious health threat to you and your family. 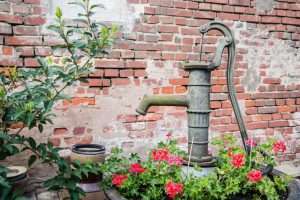 If you use water from a well, it could also be contaminated with dangerous bacteria and harmful minerals Thus, it is imperative to ensure that you identify the contaminants in your water to either avoid drinking it or find the right water filter. A water filtration system is one of the most important equipment you can have at home. Indeed, it is the surest way to ensure that your family is having clean safe drinking water. Below are some of the benefits of having a water filtration system at home. A water filtration system removes bacteria contaminants and chlorine from water giving you access to better smelling and tasting water. By removing chlorine and chlorine byproducts from water, a filtration system will significantly reduce the risk of bladder cancer, colon cancer, and rectal cancer. 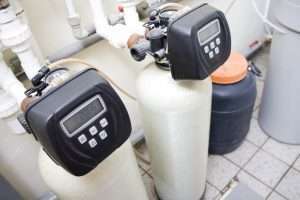 A filtration system can also remove lead and other heavy metals and harmful minerals, ensuring that these dangerous substances don’t end up in your body. A filtration system will also help you save money because you won’t have to spend money on bottled water. Overall, it is apparent clean water is an essential human need. Thus, it is important to ensure that your water is regularly tested, and if it is contaminated, you have to get a water filtration system. Such a system will go a long way in ensuring that your family has access to better drinking water free from harmful contaminants. Stormwater collected from rooftops contains many contaminants ranging from eroded roof materials, plant debris, soil particles, and other impurities that interfere with the quality of stored water. This scenario causes clogging of pumps, blockage of pipes, and valves. Notably, most of this solid contaminants sediment at the bottom of a storage tank. Organic compounds deplete oxygen by decomposing and they form noxious by-products such as hydrogen sulfide that can have adverse effects on human health. To mitigate this problem, we should put a water filtration system in place to purify the water. https://www.crystalclear-systems.com/wp-content/uploads/2018/05/water-filtration-system-during-rainy-season.jpgOne of the methods that can be effective in the purification of rainwater is the installation of the first-flush diverter. This technique works well in places that experience short rains and extended dry spells. Notably, the system diverts roof water during the first showers and redirects it to the storage system when it is clean. This method cannot be used in areas, which receive rainfall almost throughout the year. Additionally, experts feel that the water should be filtered even after the first flush divert to enhance the quality of the water. At Crystal Clear Water, we offer at least three first flush and integrate the system with nine mechanical filters. The process involves retaining the first runoff water along the length of a capped pipe. After its full a ball shuts the top of the system allowing additional rainfall water to flow to a storage system. Another method is by use of pot filters. This is the simplest pre-water filters and they come with a flanged plastic tray that is perforated. Above the perforation, a filter pad helps to isolate solid materials from the water. Baskets filters include a filter basket fitted into a plastic body. Water squeezes via the top to the bottom through the filter. Cascade filters are similar to the latter model but allow debris to flow out instead of retaining them. Due to the aforementioned scenario, they require less maintenance. The working principle of these filters is that water cascades over a curve and passes through a multi-level screened filter and exits via a port at the bottom. The last filter is the Vortex filters. Just like the cascade filters, they do not collect debris; therefore, they minimize maintenance costs. Instead of utilizing horizontal filters, they are arraigned in a vertical direction. Water flows through a circumference and they employ capillary action to purify it, then it exits through the bottom. According to the experts, depending on the water intensity there efficiency reaches up to 90%. Crystal Clear Water has you Covered. Water is life but can cause water-related maladies such as diarrhea and cholera. It is important to have clean family drinking water. Recent research show Bisphenol A, a compound used to make plastics that pack bottled water slowly leach into the vital commodity. This compound can have detrimental effects on human health. It is in this regard that if you are in South West Florida Crystal Clear Water is the company to contact to purify and test your water. Since 1999, our organization has helped our customers to put up effective water filtration system in place to purify their harvested water. Currently, we have over 25,000 customers who we offer the latter services in South West Florida. At Crystal Clear Water, our objective is to provide clean water at an affordable price. Therefore, if you need to install a water filtration system before the rainy season and you are in South West Florida calls us and you will never regret the decision. Plastic is the most widespread form of refuse found in the planet’s oceans, and Micro-Plastic is so petite that they can dodge methods for filtering or collecting plastic waste. Studies have revealed that micro-plastics are there in almost every environment on planet Earth and can be found in the guts of numerous types of marine life and seabirds. As a budding field of research, not much is known about micro-plastics and their consequences yet. The NOAA Marine Debris Program is spearheading attempts inside NOAA (National Oceanic and Atmospheric Administration) to investigate this subject. Standardized field techniques for amassing sand, sediment and surface-water micro-plastic samples have been build up and carry on to undergo examinations. Ultimately, laboratory and field protocols will permit for global evaluations of the number of micro-plastics released into our surroundings, which is the initial step in determining the ultimate distribution, consequences, and destiny of this rubbish. What Is Better For Me, Under Sink, or Whole House Water Filtration? Pure, clean water is essential for human welfare and happiness. According to the National Academy of Sciences one individual requires 20 to 50 litres of water for hygiene, cooking food and drinking. Pollutants, heavy metals and other potentially harmful things exist in our water systems and it is very important to ensure that our homes are safe from these things. If you haven’t done so, make it a priority to get your water tested to ensure the safety of you and your family. While local water services do the best they can to maintain clean water for residents in Southern Florida, they aren’t perfect. There is a lot you can do to feel confident about the safety of the water in your home. In Southwest Florida, water is drawn from an underground source and contains several known contaminants. Some of those contaminants, such as hexavalent chromium, are linked to cancer. Naturally occurring radioactive uranium is also found among the minerals in Southwest Florida’s water. As you can see it is very important for Floridians to prioritize fresh water in their homes. Purchasing bottled water for drinking and cooking just isn’t practical. Filtered water costs only fractions of a penny per gallon and doesn’t leave behind as much waste as bottled. Not only does having an in-home filtration system save you money, and provide healthy water to your family, but it’s softer on hair and skin. There are two simple ways to get water filtration at home: under sink and whole house water filtration. The under sink filtration method is excellent if you’re on a budget but really want to get the benefits of home-filtered drinking water. The downside to the under sink method however, is that only the water coming out of that specific sink is filtered. This means the rest of the water in your home remains unfiltered. Think about how many times you use water in your home beyond drinking—brushing your teeth, showering, laundry, running the dishwasher—each one of these activities could benefit from filtered water and save you money in the long run. That is where whole house water filtration, comes in. This option is by far the better choice and ensures your family gets the pure water they need. This option also has the potential to increase the value of your home. Regardless of which in-home filtration method you use, we cannot stress enough the importance of being informed about the water in your home. At Crystal Clear Water, we offer water testing and a variety of other services to make sure the water in your home is clean and free of harmful contaminants. Contact us for more information about taking the next step towards an in-home water filtration system. We are here to help you get the best in-home filtration system to suit your individual needs. Some people love having a home that is on well water, and some people hate it. This isn’t an article to examine the pros and cons of well water or municipal water. Instead, we are going to look at why you may want to get a whole house water filer for well water if that is what your home has. Many home owners in Southwest Florida have well water. With the prevalence of heavy rains, and the proximity to agricultural areas, what is seeping into the ground water should be a concern to everyone who is drinking water from a well. Anyone who has well water, lives around someone with well water, or has driven down the street while someone with well water water their yard will tell you: the water stinks. That rotten egg smell is created by hydrogen sulfide. It is a distinctive contaminant that is common in ground water. In most cases, it is not known to be a health hazard, but in heavy concentrations it can lead to headaches and respiratory tract irritation. A Whole house water filter will absorb the odor causing chemicals and get rid of the smell. This is good news unless you like smelling like rotten eggs. 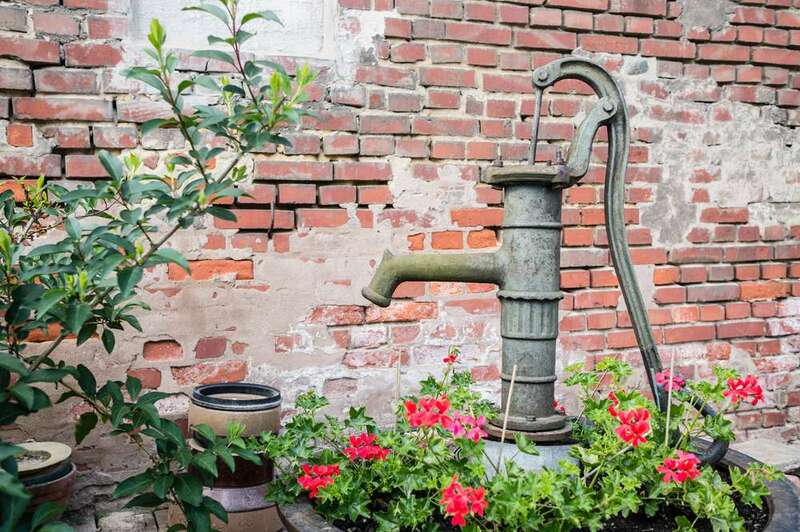 Ground water can contain microorganisms like Cryptosporidium and Giardia that can wind up in your well water. These microorganism can cause diarrhea, vomiting, chills, fever, headaches, abdominal cramps, and malaise. It is because of organism such as these that it is recommended that you have your well water tested annually. A proper whole house water filter will eliminate microorganisms from your homes water assuring the safety of you and your family. Did you notice all the boil water notices that went up after hurricane Irma last year? Very heavy rains and flooding have a tendency to wash the fertilizers from lawns and agricultural areas into the ground water supply. In addition, motor oil, fuel and other pollutant in roadways could fallow the flood waters and contaminate ground water. This could leach its way into your well water. Nobody wants to drink that. Living with well water may be a choice, or it may be that that is what was available where you decided to build your house. Whatever reason you have for getting your drinking water from a well, you don’t have to deal with poor quality water. A whole house water filter, from Crystal Clear Water in Fort Myers, can make your water smell and taste great. Our technicians can test your well and figure out just what type of filtration system you need, and our filters will get rid of anything that can cause problems. We are southwest Florida’s largest water treatment company, and we are experts when it comes to dealing with southwest Florida wells. We can not only inspect your water, but also your pump. If you are having any problems with your well pump, our team can fix it and get you up and running in no time.